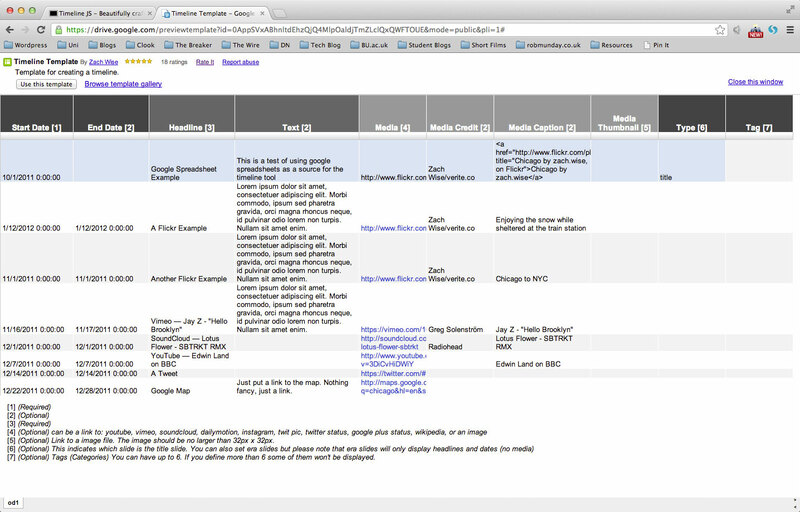 Twitter, Flickr, Google Maps, YouTube, Vimeo, Dailymotion, Wikipedia, SoundCloud and more media types in the future. 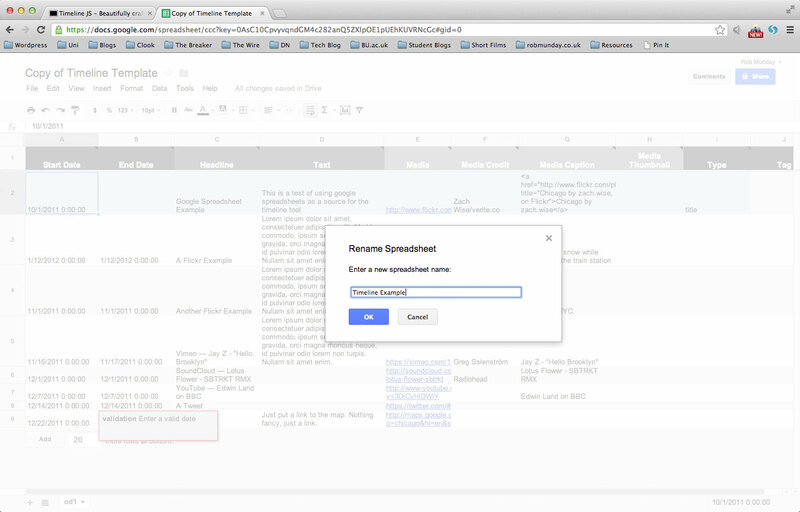 Click on the ‘File formats’ link in the top menu to locate the Google Spreadsheet template. 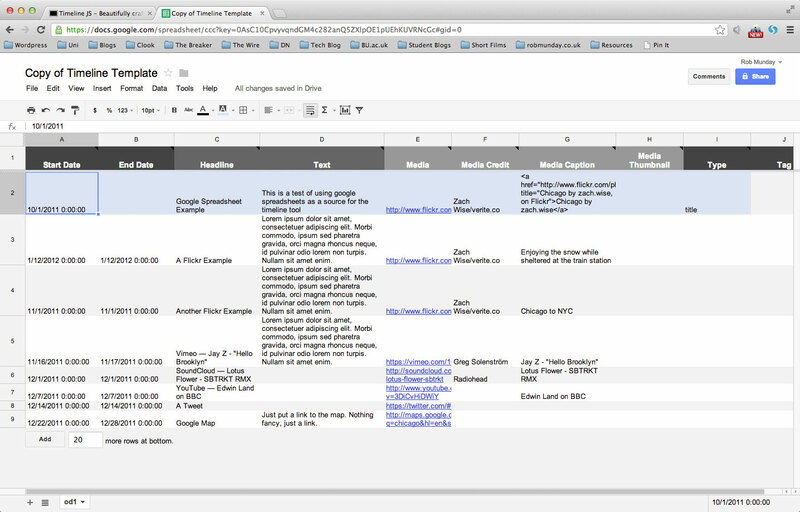 Click on the ‘Google doc Template’ button to open the Google Spreadsheet and start building your timeline. The spreadsheet is now ready to be edited and your timeline ready to be built. 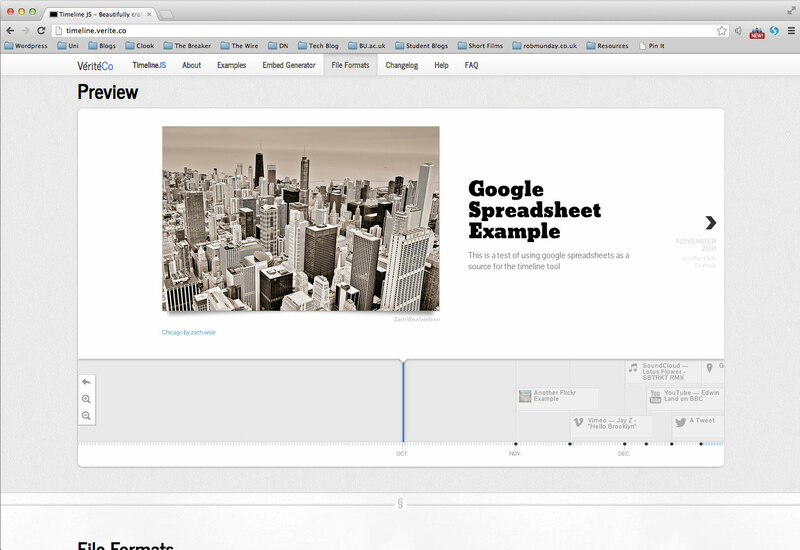 Whilst not every field needs to be completed to have a functioning timeline, the more fields you complete and the more media you add, the more engaging your timeline will be. 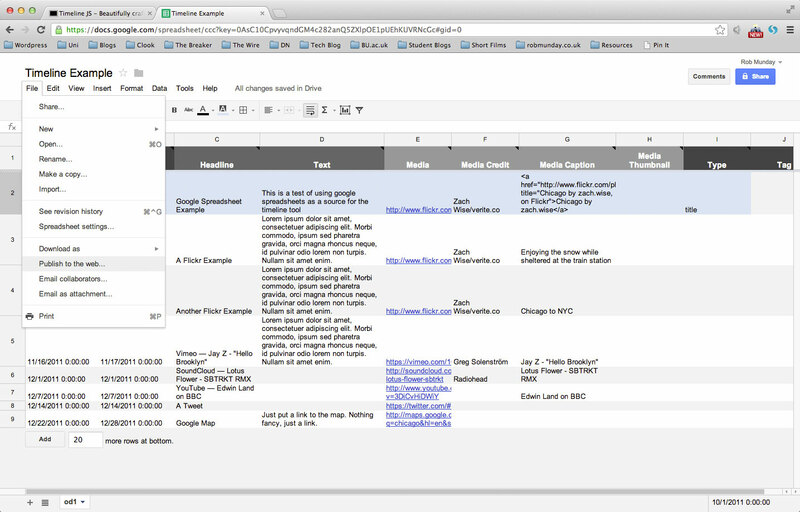 To rename your spreadsheet, double click on the title at the top of the page. 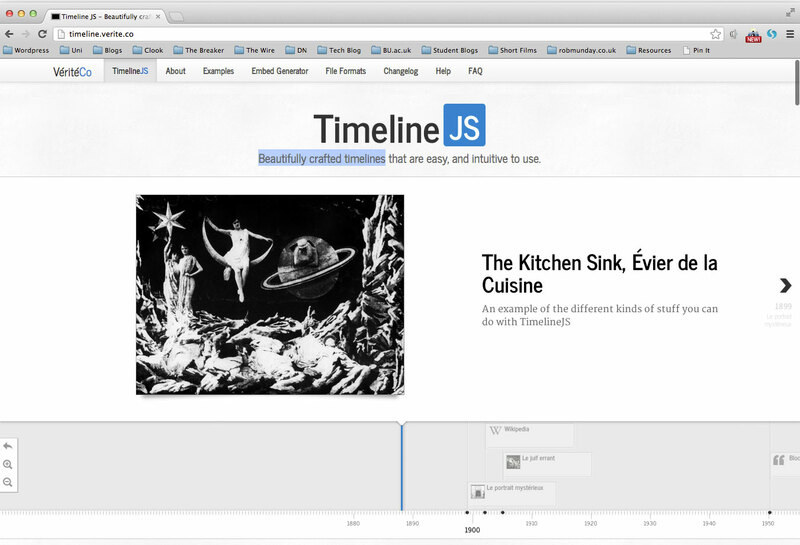 You can now begin to add entries for your timeline. Every entry needs to have a ‘Start Date’ & a ‘Headline’ added for the Timeline to work, all other fields are completed if necessary. 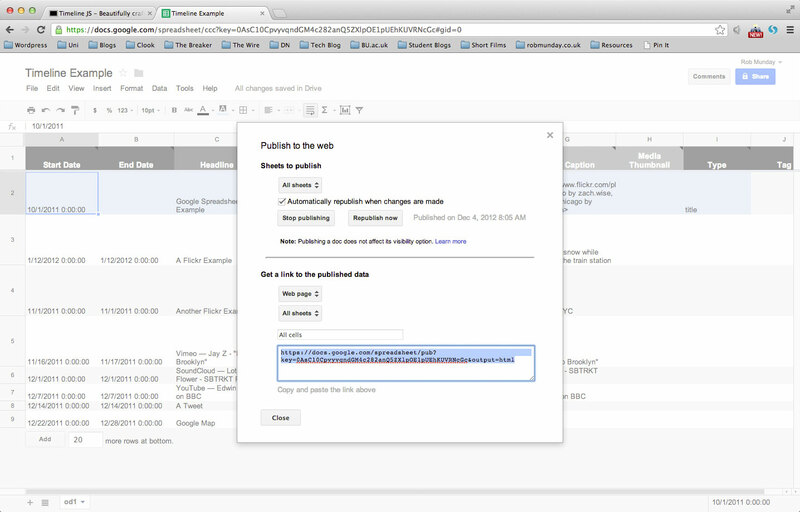 Once you have added all the entries you require to your spreadsheet, you need to publish the file to the web before you can turn it into your timeline. Copy the link that appears at the bottom of the pop-up window. 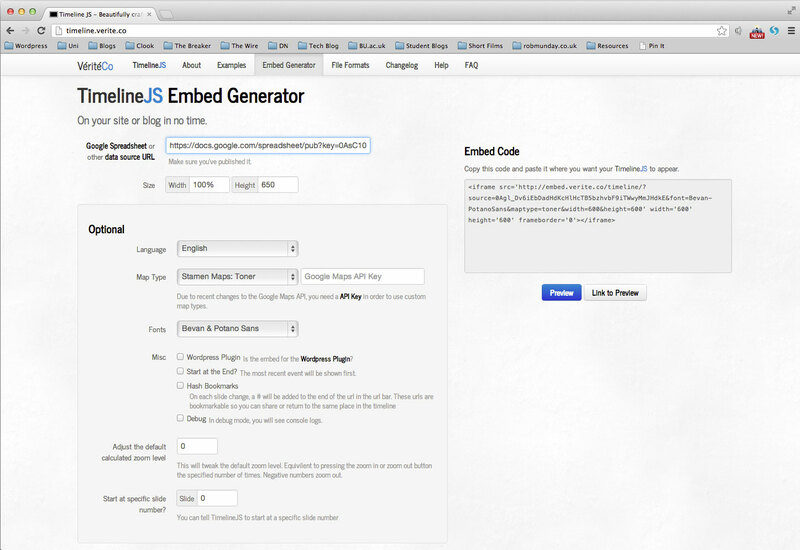 Back on TimelineJS website, click on the ‘Embed Generator’ option in the menu. Paste the URL copied from your Google spreadsheet into the ‘Google Spreadsheet or other data source URL’ field. 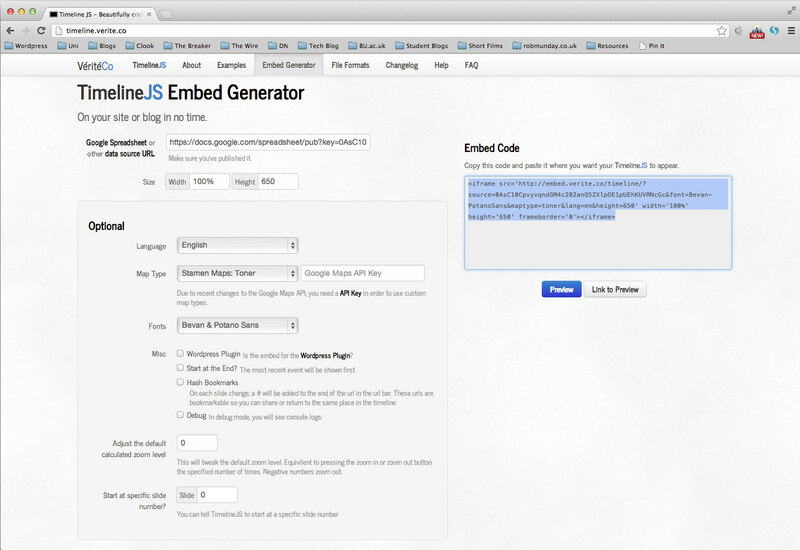 Once you have viewed how your timeline looks/functions in the preview mode, you can either make adjustments or copy the embed code. 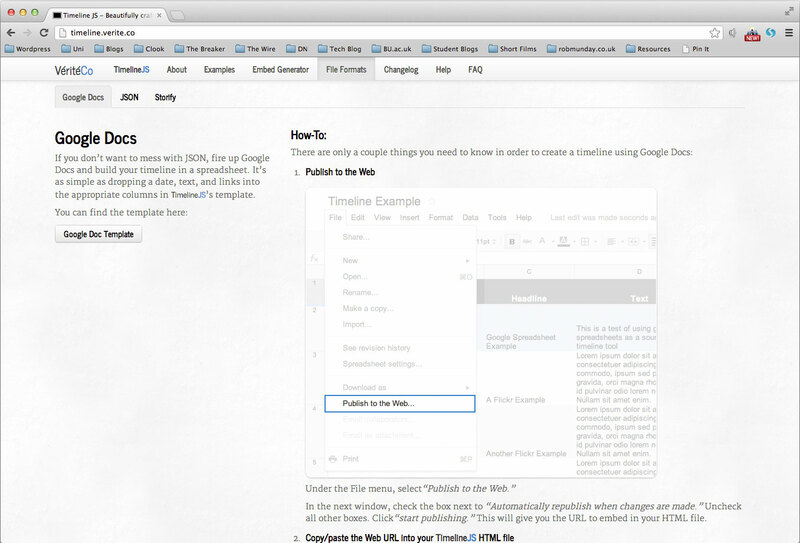 To make adjustments, configure the options in the ‘Optional’ panel.